Alaska Sens. 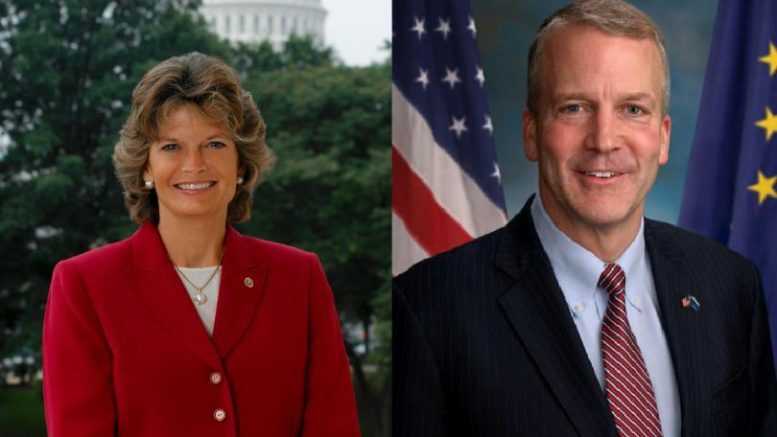 Lisa Murkowski and Dan Sullivan had no kind words for President Donald Trump’s bizarre joint news conference with Russian President Vladimir Putin, where the president meekly refused to publicly challenge Putin over the mounting evidence Russia interfered with the 2016 U.S. elections. The moderate Murkowski said Trump “did not defend America” while the more conservative Sullivan said he disagreed with Trump’s favoring the word of Putin–who he called a “mafia regime leader”–over the U.S. intelligence community. Murkowski’s statement contained a much more harsh assessment of Trump’s behavior at the joint news conference, which Sen. John McCain called “one of the most disgraceful performances by an American president in memory.” Still, she similarly didn’t call for any congressional response. “I’m stunned that President Trump failed to take this opportunity to confront President Putin about the interference in our elections. President Trump ultimately validated Putin at the expense of American intelligence by giving credence to Putin’s claim to have not interfered in our elections,” she tweeted. “Collusion aside and regardless of what happened before, President Trump should have demanded it never happen again. Sadly President Trump did not defend America to the Russian president, and for the world to see. Instead what I saw today was not ‘America First,’ it was simply a sad diminishment of our great nation. Neither called for any particular response whether it be increased accountability or oversight, to Trump over the bizarre friendliness he showed to the Russian president. Earlier this year, Murkowski said she could consider backing legislation that would protect Special Counsel Robert Mueller’s investigation into the Russian interference with the 2016 elections. At the time, Sullivan seemed skeptical of the need for the legislation. In an interview with MSNBC’s “Meet the Press” prior to the news conference, Sullivan seemed to defend the administration’s track record on Russia, saying that actions–like bulking up the military and arming Ukraine with anti-tank missiles–speak louder than words. Sullivan said any thawing in relations between Russia and the U.S. will have to start in Russia. 1 Comment on "Alaska Sens. Murkowski and Sullivan blast Trump over Putin meeting, but stop short of calling for action"
Wow you can’t make this up. Republican apologists for Trump are saying today that SDI and missile defense systems were a “democratic mistake” that riled up Putin! Holy moly Reagan, Ted Stevens, and other leading Republicans of the last 40 years are rolling over in their graves. Reagan announced SDI in 1983! Every Republican leader in Alaska has endorsed missile defense forever! Our Senators have begged for the Billions and Billions spent in Alaska on missile defense! They are trying to rewrite history just to say that Trump is not out of his mind!